History: Popular, public, voluntary and shared – just like it should be. 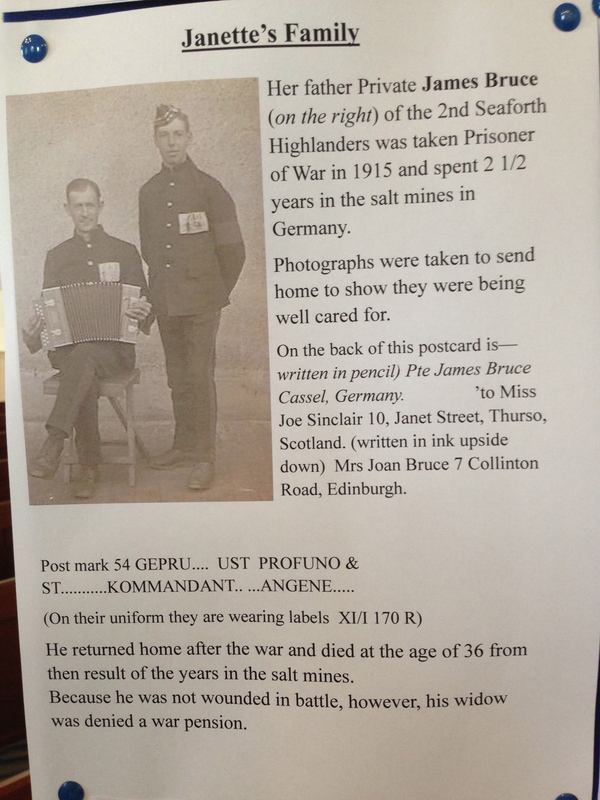 There was a wonderful World War One exhibition in the local kirk (church) in the village in the Scottish Border where I live. 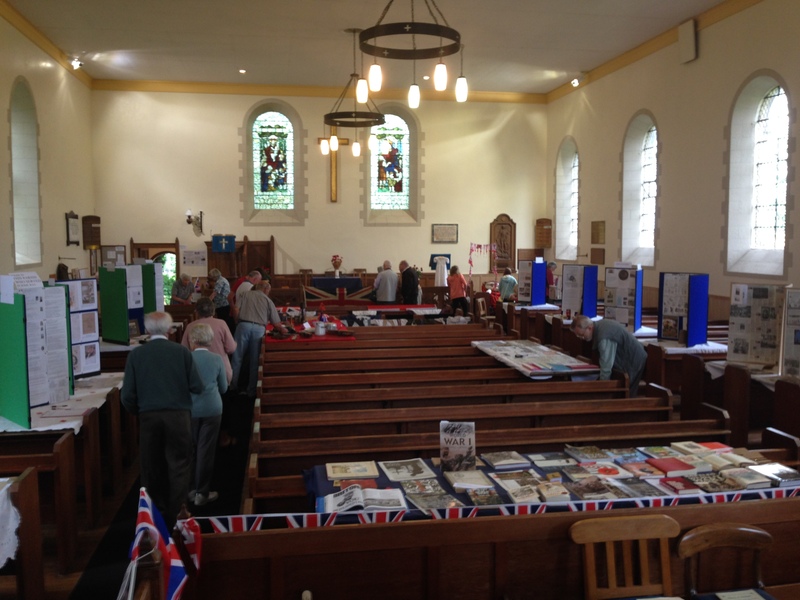 It was a small exhibition, staged over a weekend to mark the centenary of the start of the War (a few photos are below). Three features of the exhibition are particularly worth mentioning. The first is that the event was organized by the local community. It was not a professionally curated event. Instead, a few stalwarts of the community asked community members if they had any memories or artifacts from the period. The parish has two war memorials that commemorate most of those from the area who died in the 1914-18 War. A principal task was to add some detail and colour to the names mentioned on the memorials. The crowd-sourcing of information proved to be the most effective way of doing this. Family letters and photo albums, the archives of the local newspapers, regimental histories and oral histories all provided evidence. As did local history societies. This was a civic, bottom-up form of history. It was popular, public, voluntary and shared – all of those things that academia often talks about but often does not achieve. The second noteworthy aspect of the exhibition was that there was no consciously created meta-narrative. There was no ‘knowing’ and modern attempt to shoehorn the exhibition into a narrative that fits a political or methodological agenda. A narrative was present but it was driven by the evidence that people had brought forward in terms of letters, diaries and pictures: it was that the War had cost the locality dearly in terms of death, injury and disruption. 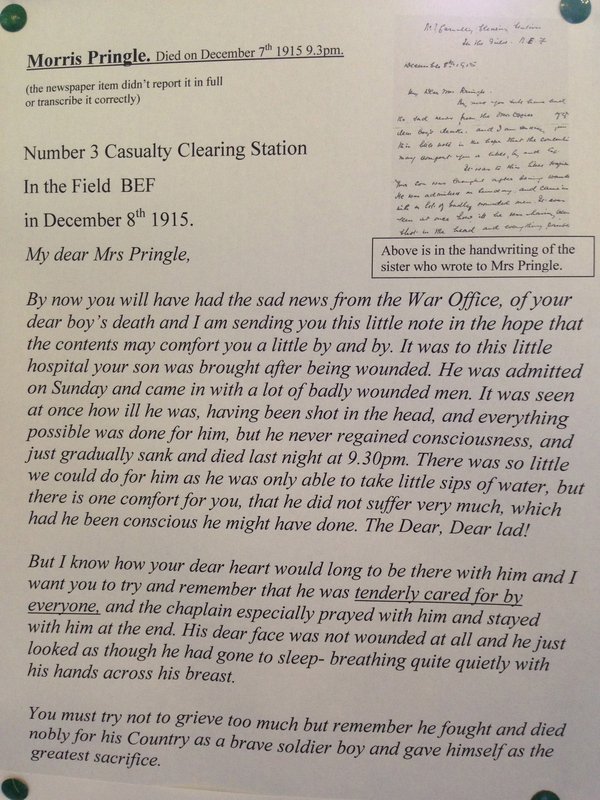 The letters to the bereaved, the diary entries and the photos had all the poignancy that was needed. The surnames of the fallen, and those who served, were often names that are still to be found in the locality. Visitors to the exhibition did not have to work very hard to put two and two together: this was a War that may have been called a ‘World’ War, but it was also one that impacted on local families. The third praiseworthy aspect of the exhibition was that it was genuinely educative. 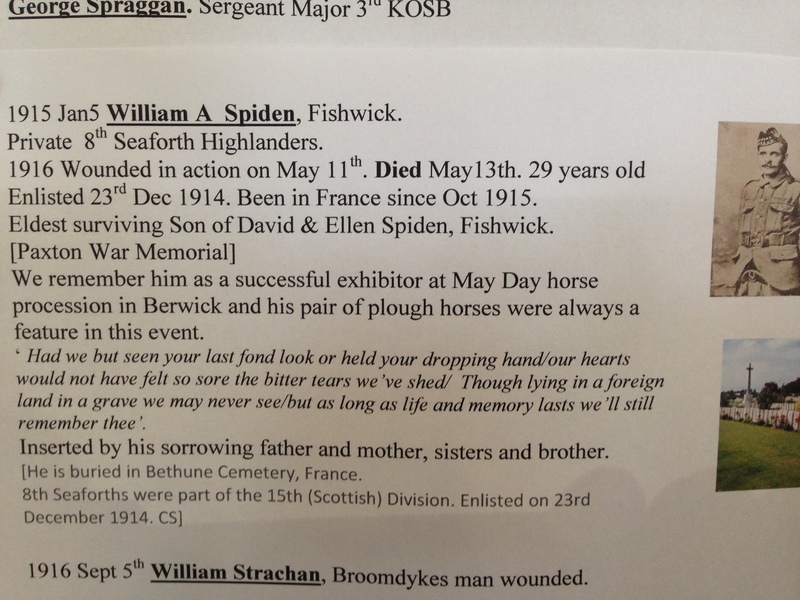 Details of a local man who was killed in WWI. Despite having read quite extensively on WWI, I learned new things from the exhibition. For example, I did not know that a Zeppelin jettisoned some bombs nearby (they fell harmlessly onto farmland). Nor was I aware of the impact of men joining the armed forces had on agricultural labour. The exhibition showed how farmers were desperate to retain labour – especially as harvest season loomed – yet their ploughmen or labourers had been issued with conscription notices. Pleading letters showed how crops were at risk of being ruined by the labour shortage. What was particularly pleasing about the exhibition was that it was humane. It did not deal with the history of Great Powers and illustrious regiments Instead, it dealt with history as comprised of people: sons and daughters, mothers and fathers. There is, of course, space for all kinds of histories and historiographies but I thought that this exhibition could have shown some professionally curated events a thing or two.